Pattie Porter is The Texas Conflict Coach® and President of Conflict Connections®, Inc. located in San Antonio, Texas. For close to 20 years, Pattie began a passionate journey to help people manage and resolve conflict in their lives and work. By doing so, she has helped hundreds of employees and work teams release their angst and move forward with more productive relationships and constructive action steps. She provides services and training throughout the United States. "We help businesses, organizations and individuals reduce the anxiety, distress and litigation caused by destructive conflict, aggressive behavior and abrasive leadership. Our coaching and consulting services reduce conflict and systemic team problems, enhance team performance, boost morale, improve communication, and build leader competency in managing conflict and constructive behavior." 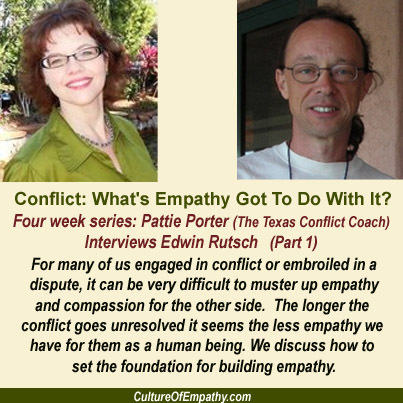 Pattie did a four week series of Interviews with Edwin Rutsch about nurturing empathy in our lives. Four Week Series: Conflict and Empathy: Where Has Empathy and Compassion Gone? For many of us engaged in conflict or embroiled in a dispute, it can be very difficult to muster up empathy and compassion for the other side. The longer the conflict goes unresolved it seems the less empathy we have for them as a human being. 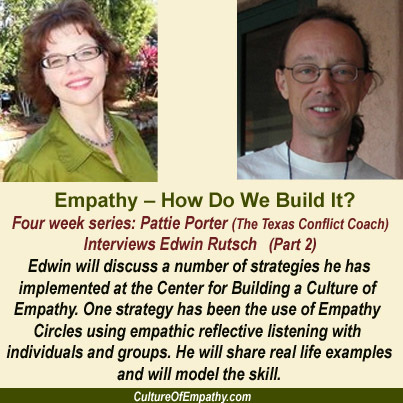 In this first of our four episode series–Conflict and Empathy: Where Has Empathy and Compassion Gone?– we will introduce the “wheel of empathy” and the “feel of empathy” as defined by Edwin Rutsch, Founder of a global empathy movement called The Center for Building a Culture of Empathy. We will also discuss how compassion intertwines with empathy and set the foundation for how you build empathy. We are going to focus our attention on building empathy and compassion. How do you go about doing this? Give listeners some concrete examples of how you build empathy and compassion? Let's give a demonstration of empathic listening. What are the multiple ways Empathy Circles can be used? What else would you like to say about building empathy and compassion? We left off in our last episode of how we go about building a culture of empathy. 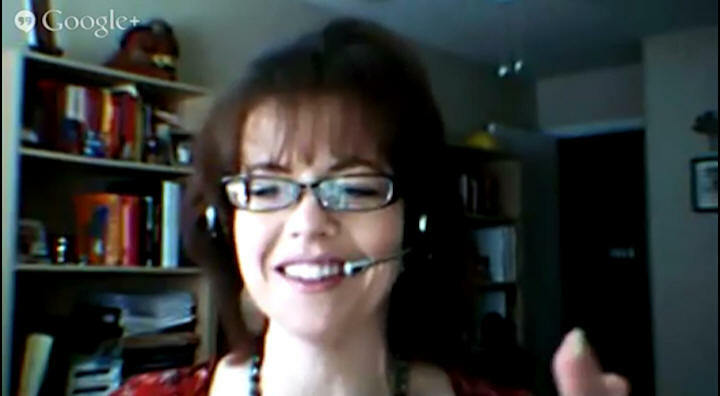 The assignment you gave listeners is to look at the blueprint on cultureofempathy.com website. Of the many strategies listed which ones would you like to highlight now? Now, we will be talking about nurturing a culture of empathy in the family. Why is it important to practice in the family? 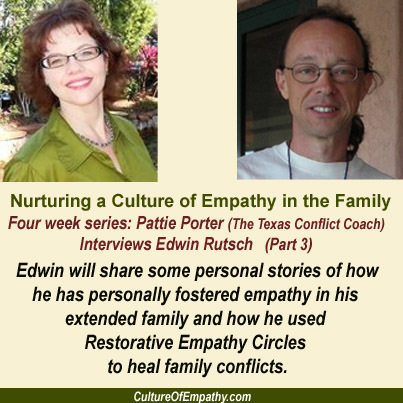 You took the opportunity to use a Restorative Empathy Circle to heal family conflicts in your extended family. How did this help your family? How does someone foster empathy in their own family? Last episode we talked a great deal about building empathy by starting with the family first. But what about the business world? I happened to mention our series to someone in the business world and their response was ‘does it even have a place in business?’ Let’s start there. Given what feels like a lack of empathy and compassion in the workplace, how does a leader even begin to address this in their organization? How can employees begin to take ownership of building empathy and compassion in their workplace? 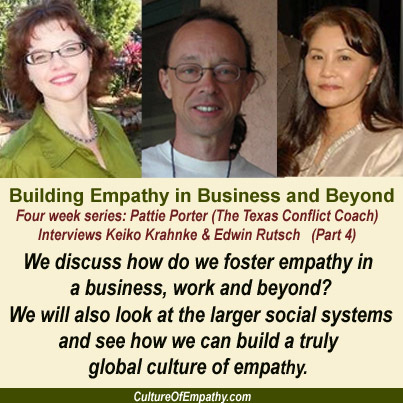 How do we go “beyond” and building a global culture of empathy? What can global citizens do to support and do their part? How can each of us cultivate empathy in our daily lives?